I recently had a hard drive go bad which required me to re-install the OS and all my applications. The challenges with this is all the configuration files associated with various applications. FileZilla is a great FTP client which I use daily. Once you have your FTP clients working, the last thing you want to do is to recreate all your settings. 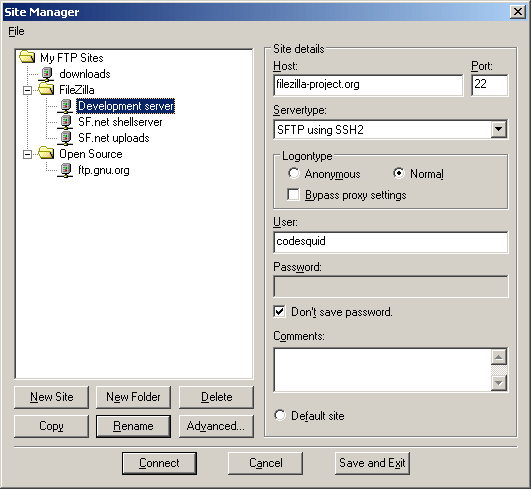 It is important to easily recover FileZilla Site Manager settings. This was one of the easier tasks in my hard drive recovery. On your backup or old hard drive find the following file: sitemanager.xml. It is located at: Users<users>AppDataRoamingFileZillasitemanager.xml. Copy the file to the new hard drive in same place. That is all there is to it. Now on to the next application recovery activity.